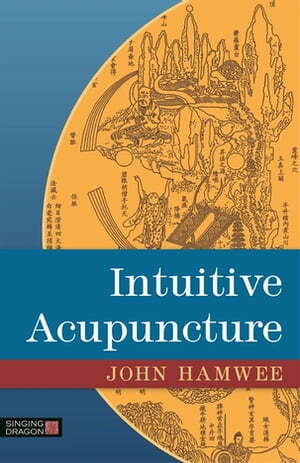 Collins Booksellers - Intuitive Acupuncture by John Hamwee, 9780857012203. Buy this book online. The role of intuition is seldom identified in acupuncture training as one of the keys to effective practice. John Hamwee here explores its paramount importance in diagnosis and treatment, showing how development of the intuitive sense, and its appropriate use in the treatment room, is vital to building the most effective individual practice. Through discussion of theory, clinical example, and the experiences of leading acupuncturists, the author shows how intuition, or the grasping of subliminal clues, can be developed, based on the practitioner's growing `storeroom' of clinical experience and why it is so useful for this to become a conscious and rigorously examined process. He discusses the process of testing intuition against objective observation of the patient, and how an intuitive leap can provide a shortcut across an innumerable series of diagnostic steps, and lead to diagnostic and treatment decisions that make complete sense of the observable phenomena. He suggests that learning to trust the intuitive faculty, while still fully interrogating conclusions, is the basis of better patient outcomes and significantly advanced practice. This thoughtful and engaging book will be one that acupuncturists will want to read and reread, and will speak to all therapists, counsellors, and health practitioners.